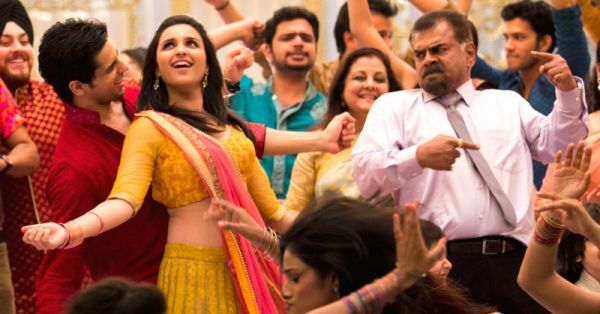 7 Amazing Ideas For Your Wedding Music - No, Not Shehnai Or DJ! Indian weddings are never complete without music and dance. Practice for the much-awaited sangeet dance performances starts 6 months prior to the wedding! Yes, the “dj waale babu” is an integral part of the evening, as everyone goes to him requesting, “baby ko bass pasand hain”, but sometimes you may also want some different kind of musical entertainment at your function. Something more distinctive, something unique. Here is a list of some offbeat and new musical entertainers who can make your functions a hit! Sufi music has really picked up in today’s time and it sounds magical. There is no evening entertainment better than having sufi singers singing live for you. Check out the Jazbaa band and have them perform wonders at your sangeet and reception. Rajasthan is the land of the kings and is the epitome of romance. Their music also creates a royal aura and is the perfect music to have for you wedding day. Once the pheras are complete, ditch the traditional DJ and surprise your guests by calling Rajasthani traditional folk music artists just like Jagdish Prakash & Sons. Also read: 7 Things To Keep In Mind When Planning Your Wedding Menu! Punjabi pop can help your guests have the time of their lives! It is, by far, one of the best ways to get the party started. The likes of Hans Raj Man and Gurdas Mann are perfect to set the mood. And among the best in the league are Hari Sukhmani, who do a fusion of Punjabi folk with electronica. 4. What About Live Singers? Depending on your budget, you can have various types of Bollywood live singers for your sangeet and cocktail. You can pick from the likes of Arijit Singh, Kanika Kapoor, Honey Singh, Baadshah or even Sonu Nigam. You could even pick up fresh voices like that of VidyaVox and ask them to take over the crowd. A jugalbandi could be between two music artists at your event - between a violin player and the DJ, or even between a percussionist and the DJ. This new trend is taking over Indian weddings and sets the perfect vibe for a sangeet or reception. Percussionist Jonqui is a hit in this genre. This sets the mood for all the uncles and brings out the Asha Bhosle in all the aunties! A playlist of some old and new songs would be perfect for a mehendi function and see all your friends and family singing and dancing to their fav numbers! Also read: 6 Awesome Apps To Make Your Wedding Planning SO Much Easier! Every culture has their traditional songs. Punjabis have their “tappe” and UP waalas have their “banna-banni” songs. Nothing is better than having your grandmoms and all your family members sing traditional songs for you. This creates an emotional yet fun moment for your mehendi function. GIFS: Giphy, Tumblr A place where girls can talk about ANYTHING. (No guys allowed!) ? ? Get the POPxo app NOW on Play Store and iOS App Store.